Manali Tour is known for gorgeous gorges, fruit-laden orchards, blossoming green landscapes, snow-capped mountains, picturesque valleys, diverse flora & fauna, wondrous waterfalls, chatty mountain stream, lush hills, ancient temples, thick forests of pine & deodar trees and beautiful meadows and many more things which are surly going to charm you. The cheery and cool climate of Manali never fails to make an impression on the visitors. Manali is widely much-admired for the extraordinary natural beauty. Travelers have a amazing chance to walk around logs of nature wonders including scenic trails, lovely lakes, beautiful waterfalls, beautiful valleys, postcard-perfect landscapes, snow-clad mountain peaks, mountain streams and views of rolling hills of majestic Himalayas.There are many other attractions to visit on Manali Tours Package which will include some other tremendous moment into your journey to Manali. There are many amazing and popular attractions which you could visit on your Manali Tour in Himachal Pradesh. Manali is also called as the Switzerland of India and has a lot to offers its visitors approaching from diverse parts of the world. Some of the most interesting places and popular attractions to visit around this magnetic hill town include Old Manali, Hot Water Springs, Manu Temple, Jagatsukh Temple, Hadimba Devi Temple, Rahala Water Falls, Manali Sanctuary, Vashisth Village & Temples, Kothi, Apple Orchards, Rohtang Pass, Nehru Kund, Arjuna Gufa, Solang Valley, Manali Mountaineering Institute, Tibetan Monasteries, Beas Kund, the Mall, and many more which will continue this list. Many adventure sport activities could also be enjoyed during your Manali tours.Manali is one of the most picturesque and sought after hill stations in northern India. It is also extremely popular as the summer holiday destination and where you can spend some quality time. 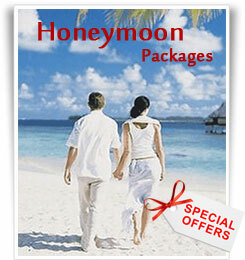 It is very popular among adventure enthusiasts, vacationers, honeymooners, tourists, families and nature lovers. During the Manali tour you would have the opportunity to exploring many picturesque sites. From picturesque places like Solang Valley and Rohtang Pass to snow-capped mountain peaks of majestic Himalayas, Manali offers some of the spectacular views which you would definitely love to capture in your camera.These attractions of Honeymoon Packages For Manali attract a large number of people from all over the world for exciting tours to Manali and spend some great holidays. During your Manali tours you would have an experience could be never forgeted for lifetime. By exploring the nature blessed picturesque places and key attractions of Manali you could have unique lifetime experience.India offers a huge number of beautiful places that serve as desired tourist destinations. One of the best of such places is Manali in Himachal Pradesh in Northern India. Manali is well known for its breathtaking snowcapped mountains with the magnificent Himalayas in the background, lush green landscapes that offer a soothing view for the eyes, diverse flora and fauna that steals all the tension and fills the heart with wonder, gorgeous waterfalls that makes you stop by and admire its beauty, dense forests, legendary ancient Temples& Monasteries, beautiful streams and gorges, artistic meadows, the pleasant Beas River binds the essence of the place and not to mention the beautiful blowing clouds that you can almost feel in your face makes Manali Tours Operator a magical experience.Manali, situated at two thousand and fifty meters altitude above sea level makes the place chilling cold with a temperature ranging between 0.5 degrees to 18 degrees. A travel to Manaliis quite easy and fast in the present day; thanks to the various modes of transportation that have made it possible to reach the place that we love so much. We can reach there by bus, trains, planes and private cars. Bus runs from Delhi, Dharamsala, Shimla to as far as Leh to Manali. By train we can get down at Ambala and take a cab or bus, and flights are available every day from all the major cities. Nowadays, finding transportation is easier than ever because you can always book tickets through internet online. All these facilities make Manali Tours very convenient. Manali is not a place that only allows looking at its beauty from a distance and praise with your gazed eyes but a trip to Manali is so much fun because you find yourself engrossed with the place. Someone who is in love with spine chilling adventurous sports will surely love Manali for it offers a real sports like paragliding, water sports like river rafting, sports related with mountain and snow like skiing, mountaineering, hiking, climbing and for a change you could try fishing as well. For tourist who love to explore the place will get to see and visit popular destinations like Rohtang Pass, 3979mtr above sea level but in winter this road is normally closed.Dassaur Lake, Beas Kund that is the source of Beas river, Hadimba Temple dedicated to demon Hadimba, first wife of Bhima according to Mahabharata, other important temples are MaaSharvari Temple,Gauri Shankar Temple and Jagatsukh that was the once capital of Manali and travel to Manali will also get you visit the various Monasteries among holy places. A trip to Manali will also let you visit the Kalanath and Vashist Hot Water Springs, Jogini Falls, Rozy Falls Nehru Kund, the admired Rahala Waterfalls and others. For all these beauties Manali is rightly called the Switzerland of India. Various hotels ranging from cheap to moderate to star hotels are available for accommodation that suits your choice and budget. Restaurants and eateries and also available in large numbers.